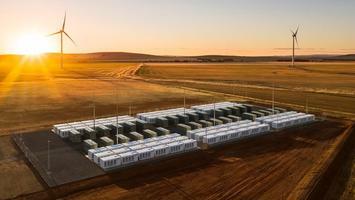 There is a major problem with this line of analysis in late 2017 and even today in Australia – if Tesla’s battery storage system is that effective – then why did the Financial Times exclaim in late August, “Energy is at the Roots of Australia’s Political Crisis.” Countries and states that deploy energy storage systems that aren’t scalable, affordable or flexible are doomed to higher rates like Australia, Germany and Denmark, energy blackouts and higher emissions through increased use of fossil fuels; particularly, coal-fired power plants. China, which says it is the leader in green energy, is fooling world leaders and environmentalists bent towards renewable energy and energy storage products that aren’t ready for mass market. China is building coal-fired power plants at a rapid pace while Australia – who signed the Paris Climate Agreement – exports billions a year in coal to Asia. If energy storage worked then renewable energy would work as well, since each technology complements the other. Renewables are intermittent and need energy storage capacity and/or fossil fuel backup. And at this time only fossil fuels works; energy storage isn’t available on a wide-scale basis now or in the near future for 24/7, 365 on-demand energy storage. The best response is an all-of-the-above approach that relies overwhelming on fossil fuels while working to overcome renewable energy’s intermittent issues and energy storage system’s limitations. Additional problems occur for German renewable users and grid operators without adequate energy storage is, “the grid is so flooded with power that prices in the wholesale market sometimes drop below zero.” What’s further vexes German, EU, Chinese policymakers and the industrialized world is that Germany’s economy is more service-oriented, uses less energy and emits fewer CO2 unlike China and increasingly the US that is heavier towards manufacturing and factories for larger shares of their respective GDP’s. Emission reductions and a carbon-free society will be more difficult to attain using renewable energy without scalable, affordable and reliable energy storage systems. The United States (US) has its own example where prices have risen without adequate energy storage that doesn’t include California, which is usually the example given for high wholesale and retail prices since energy storage isn’t available in that state either. However, Minnesota is a better example since historically Minnesota had rates 18.2% less than the national (US) average. Since 2009 Minnesota spent $10 billion on wind farms, upgraded transmission lines and the State’s renewable energy portfolio-standard, “requires utilities to generate 25-30% of electricity from renewable sources, mostly wind.” All of this was suppose to be achieved without an energy storage system in place. The results: Minnesota’s rates beginning in February 2017 are now above the national average, and they have not reduced greenhouse emissions relative to the US average, or cut pollution. If Minnesota had not added renewable energy without energy storage in place and – instead stayed with their traditional energy mix – from 1990 to 2017 that state’s ratepayers would have saved $4.4 billion. Energy storage is the key besides the failure of intermittent renewables in each of these real-world examples. But advocates for battery storage, smart grids and renewable energy will contend that the technology is available, scalable, affordable and offers grid-flexibility. However, “Commercial large-scale batteries available today are rated to deliver stored electricity for only two hours or ten hours duration.” Energy storage technology – in the near or long-term future isn’t feasible – and no one can say if or when it will be available though citizenry, governments and private industry keep insisting on renewable energy and a carbon-free society. Any type of local, county, state, nation-state or international approach to energy storage systems will require a strategy and technology that includes flexibility, commonly accepted planning methods, on-demand consumer use, national and international connected transmission lines and be able to handle the variable, intermittent nature of renewable generation. Part 2 of the DOE’s, QER in 2017 also factored in that energy storage systems will need to handle increased cyber-security concerns and grid modernization for energy storage to be a factor in renewable energy and carbon-free society becoming a reality. Todd Royal is a committee member for the California energy and electrical committee for the American Society of Civil Engineer; and an energy consultant focusing on the geopolitics of energy directly related to foreign policy, national security and domestic exploration and production based in Los Angeles. He can be reached via Twitter @TCR_Consulting.